Learn how to use customized labels to distribute unassigned doc assignment responsibilities across multiple admins. Click [Document Labels] from the left menu. 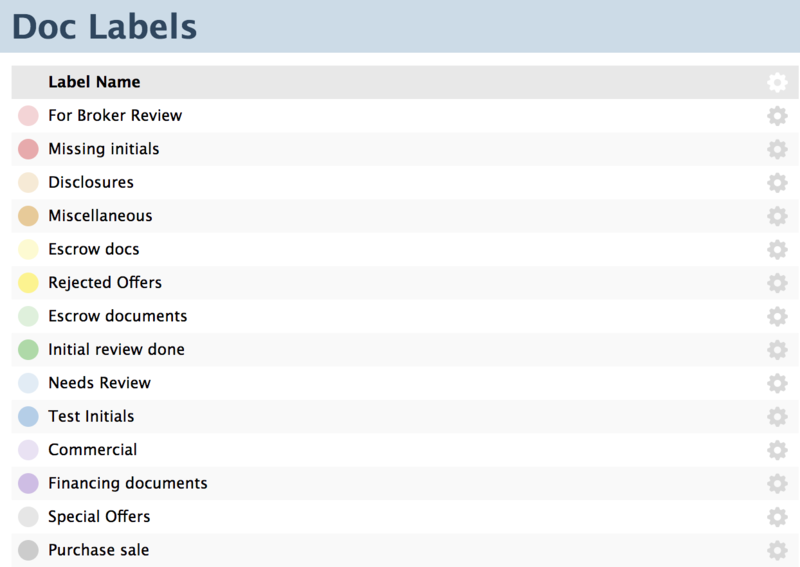 On the Document Labels page, you will see uniquely colored label options available to you. 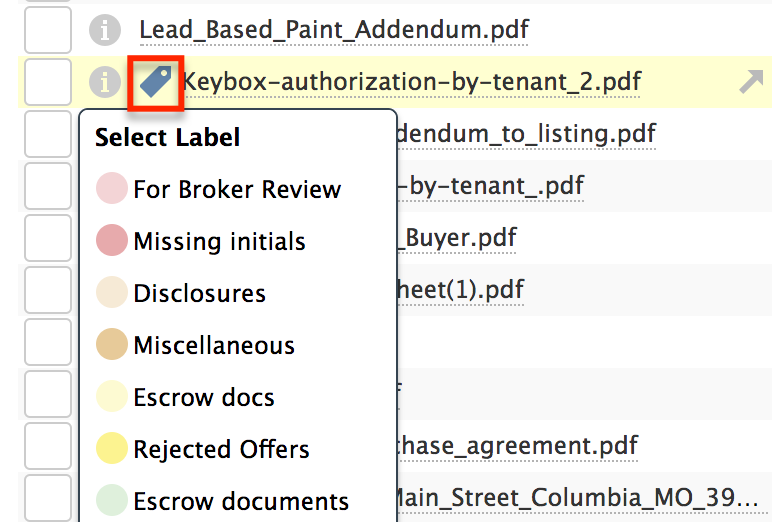 Customize any label by highlighting and editing the label. Enter user names, priorities, statuses, or anything else that fits your company’s needs. You can use as many or as few labels as desired. Admins will be able to apply the labels to any Unassigned Docs in their locations and agents will be able to apply them to their own docs. From the Unassigned page, hover over a doc name until a label appears. Click the label to select a desired custom label or to remove it.